Home > How can you measure the value of a webpage? 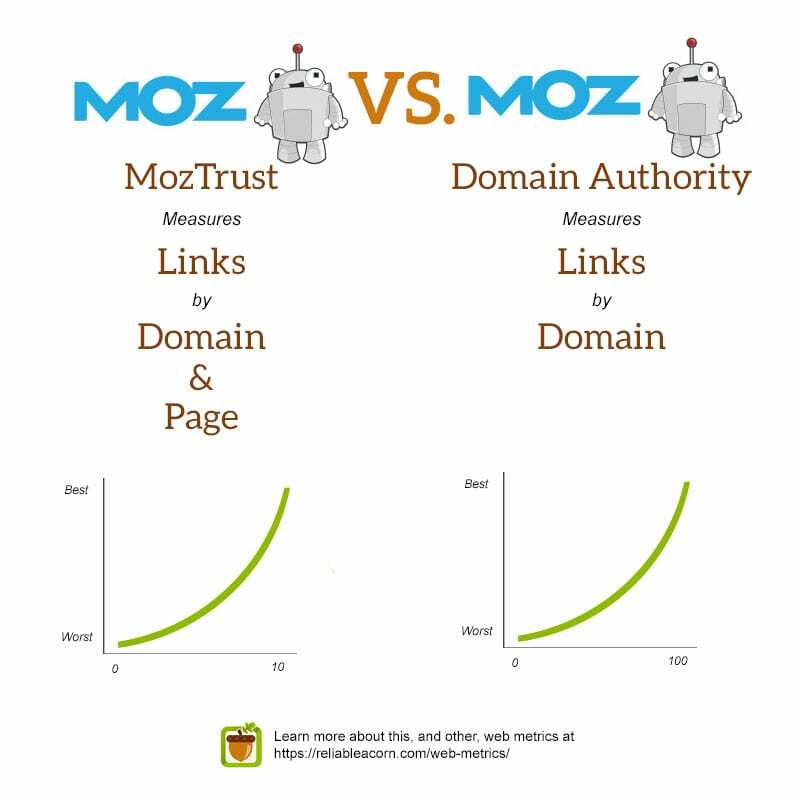 > How is MozTrust different from Moz Domain Authority? How is MozTrust different from Moz Domain Authority? Both MozTrust and Domain Authority measure a website in terms of their back links. MozTrust, however, measures the distance of any given website from trusted authorities. The higher the MozTrust, the less “steps” it would take to get from a trusted website, to the website to which the metric applies. MozTrust can also be applied on a page basis, in addition to a domain. This is reflected in a score between 0 and 10, on an exponential scale. On the other hand, Domain Authority measures a particular website in terms of its links. MozTrust is part of the factors considered, when calculating the Domain Authority for a website. In addition, Domain Authority considers MozRank and a few other factors. Domain Authority is expressed on an exponential scale between 0 and 100.